Discover a kitchen full of flavors, smells delicate scents of Savoy, a warm atmosphere in a surprising setting. 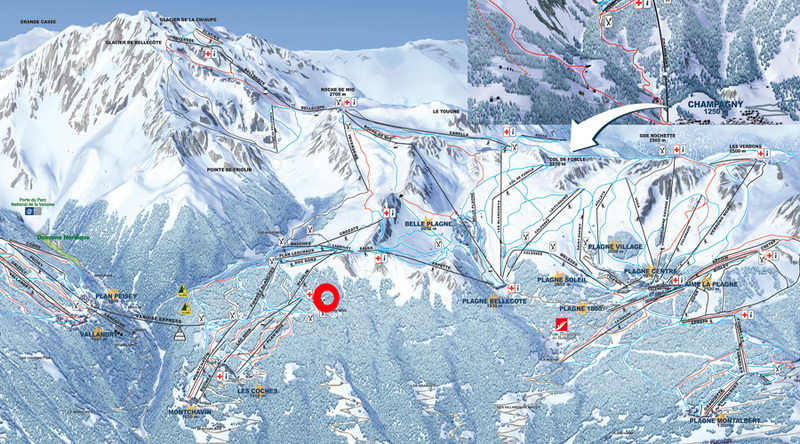 The Chalet du Plan Bois is located in the hamlet of Plan Bois at the top of the Plan Bois chairlift and gondola Black Lake, in the heart of nature. It is above all a unique view ...! A nature break that is eaten in the sun in front of a salad, one of the many excellent home-cooked food or a fruit tart in the region. The atmosphere is warm and friendly, Isabelle and her team are a point to book the best reception. You will discover a mountain decor charming. Here is a small haven of peace, without noise or lifts, nestled in the hamlet of Plan Bois, located at the corner of a track, a cross-country ski loop or a simple walk. This charming place is open for you to spend a quiet and relaxed time and enjoy a cuisine with local colors, prepared the old, next to the fireplace. THE PLUS this year: THE TABLE - To reserve to privilege your meal. Without supplements ! - From 9.00a.m. ‘til 5p.m. - From the beginner area, to the top of the Lac Noir Gondola.